Is it any consolation that there are idiots everywhere? Not really. Well, another one bites the dust. This time in Boca Raton, Florida. Apparently this 1927 beauty was too “vieille” for Boca Raton. Amidst a throng of people who desperately wanted to save the place, the Grand Dame fell to the wrecking ball in November of last year. Instead of designating it as a historic structure, the city building inspectors determined it would be “impossible to restore”. 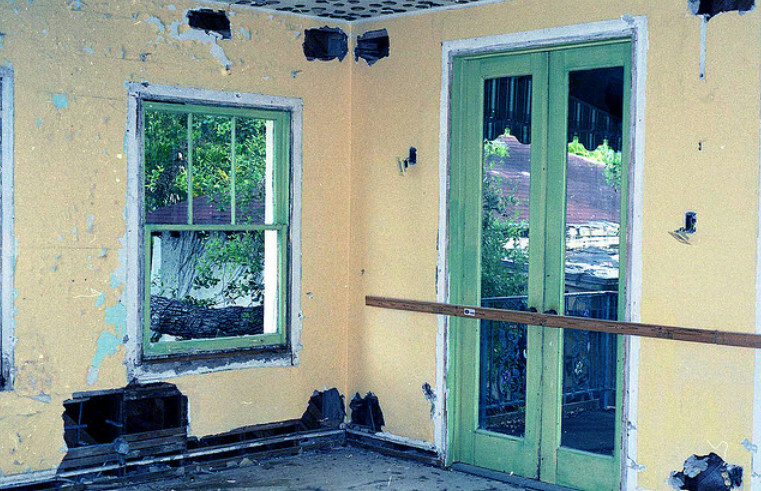 La Vieille Maison, Boca Raton, Florida: Impossible to restore? “Everybody wanted to save it,” Boca Raton Historical Society executive director Mary Csar said. “Many people had ties to the restaurant because they had dined there. “But it was just in such bad shape,” Csar said. I mean, really. A little lathe and plaster, paint, and we would be back in business, n’est-ce pas? 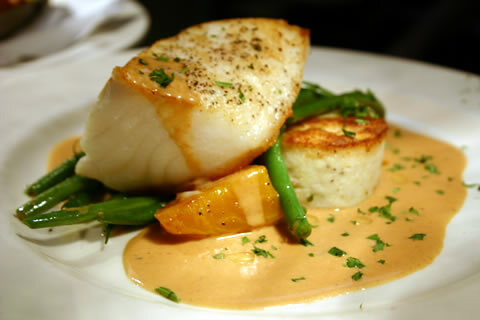 “La Vieille Maison was known as the grand dame in fine dining. Nothing matched its ambiance. Waiters in tuxedos gave menus with prices only to gentlemen. Ladies never saw them. The gentlemen were required to wear jackets. Classical music played in the background, blending with the glow of candlelight. The menu featured such delicacies as caviar with buckwheat blini and fois gras with lingonberry preserves. The filet mignon was dressed with béarnaise or bordelaise. The escargot, lobster bisque, steak tartare and sweetbreads matched the culinary delights offered by the finest French restaurants in Paris. Owner Leonce Picot hired only career waiters and captains, who remembered the wine choices of patrons and how they preferred to have their food cooked. They were polished professionals who knew how to prepare and serve crepes Suzette tableside. That was convenient for her husband, Ron Assaf, the Sensormatic founder who did business in 100 countries. La Vieille Maison was the perfect restaurant to entertain foreign executives when they came to Boca Raton. The two-story restaurant shaded by massive live oaks had several private dining rooms in addition to the main dining room on the first floor. Some rooms were the perfect size for business groups and large family occasions. Other more intimate rooms in the old house were a favorite spot for marriage proposals. The Kaplans always requested the Goldfish Room, where the table overlooked a koi pond. “I used to think it would be nice to have that designation. But boy, I’m glad I didn’t do it — I’d never be able to sell it,” Picot was quoted as saying five years ago. He received $2.6 million for the property. 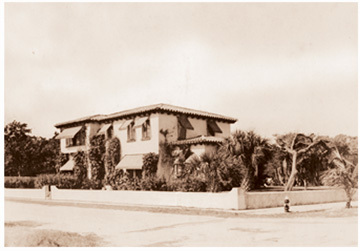 The 1927 house was built by Thomas Giles, an engineer for architect Addison Mizner, in the same Mediterranean Revival style that Mizner had chosen for the distinctive homes that he built in Old Floresta two years before. 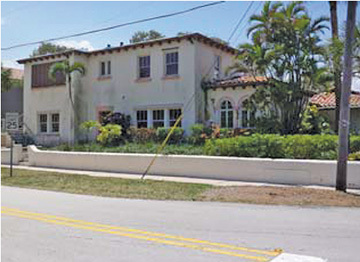 The Giles family lived in the house for 25 years until it became the Por La Mar Apartments in 1953 and later a real estate office before Picot’s purchase. 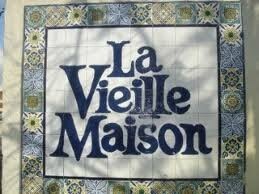 If anyone has any photos of happier times at La Vielle Maison, please send me an email at preservation@usa.com.